1 Bunch of daisies or mums only $3!!! That’s right a bunch of 5-10 stems, each stem having 4-7 blooms will cost you only $3. This is for carry out only and while supplies last. 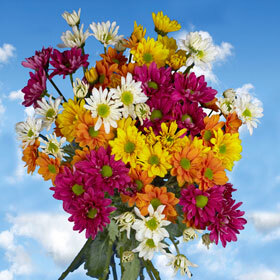 Mix and match your colors for a bright cheery arrangement.